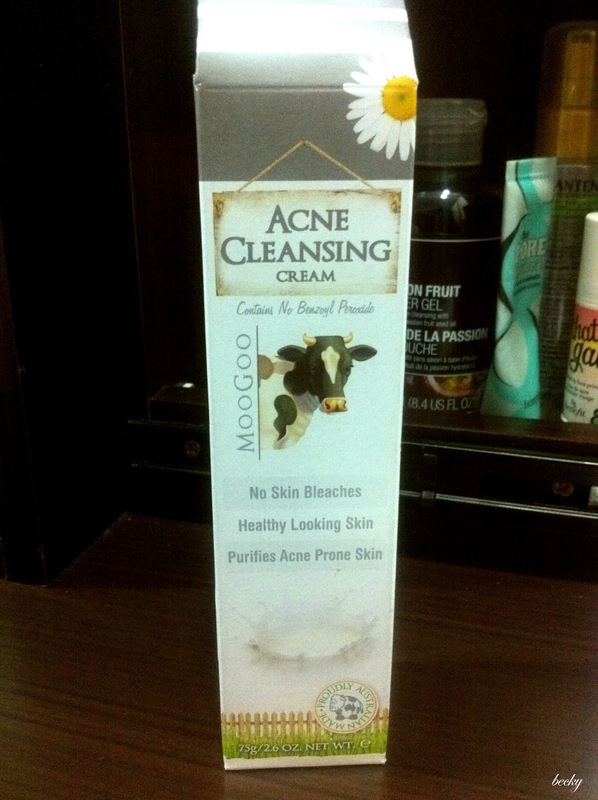 MooGoo came into my life just end of last year, and I have been hearing positive remarks on their products. It is an Australian brand. I've tried out some of their products, which I'll talk about in my future posts, and now I'm totally in love with their Acne Cleansing Cream. I have been battling with acne problems for years, and it would get worsen during my menstrual period. 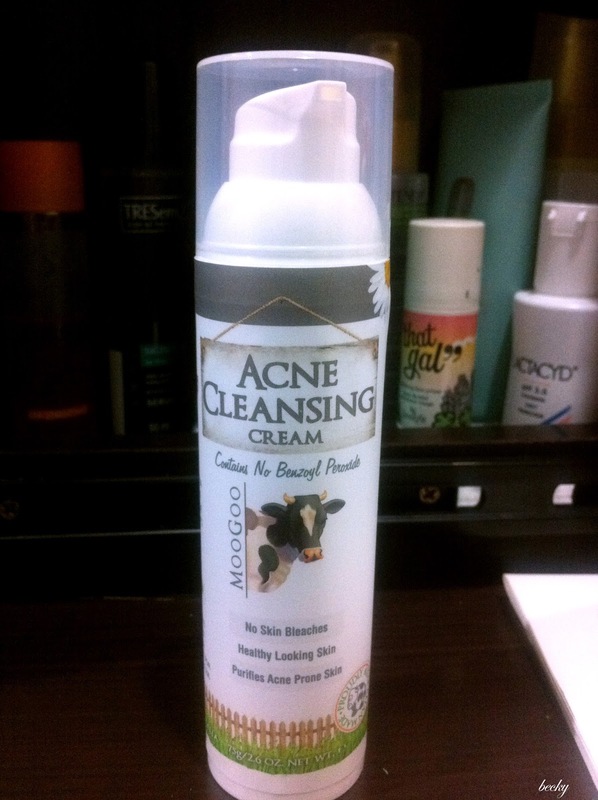 However, after I've started using their Acne Cleansing Cream, things have changed for me! I like their packaging - it comes in a milk-carton-like box - so cute! You would have to open the box from the top, like how you would open your milk carton. "MooGoo is an Australian company that makes a range of natural, safe products with effective active ingredients designed for people with skin and scalp problems." Guess how their products came about! It was made when their founder adapted a cream used in dairy farms to help a family member with a skin problem. The cream might look heavy or oily, but its the other way round. It gets absorp into the skin very fast and it doesn't leave the heavy sticky feeling on your skin. I started only using the cream aroud my jaw-line area, since that's where I have the most acne problem. My acne started to clear up after a few application, and I'm not having any acne problem even I'm menstruating! Seriously, not even a bump of acne or pimple on my face ever since I started using this. The cream totally keep my acne condition under control, and now I do not have to fear when my menstrual is near. On top of all these goodness in a bottle, you do not need to apply a huge amount of cream on the face - the amount in the photo above is already sufficient for me to apply on my whole face. I really strongly recommend anyone who is having acne or pimples issues to tryout this cream. In fact, I would recomment MooGoo to anyone in a heart beat! 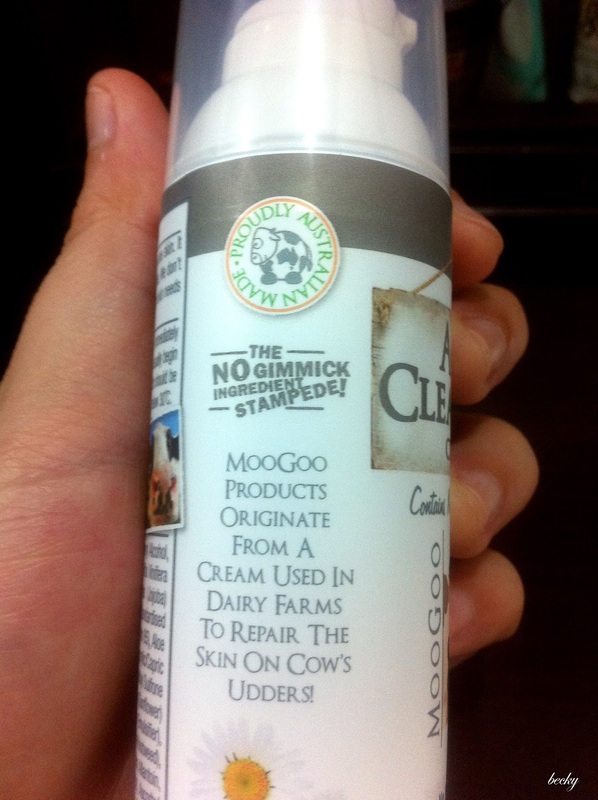 If anyone have a holy grail in their skincare routine, I've found my ultimate holy grail - MooGoo Skincare! 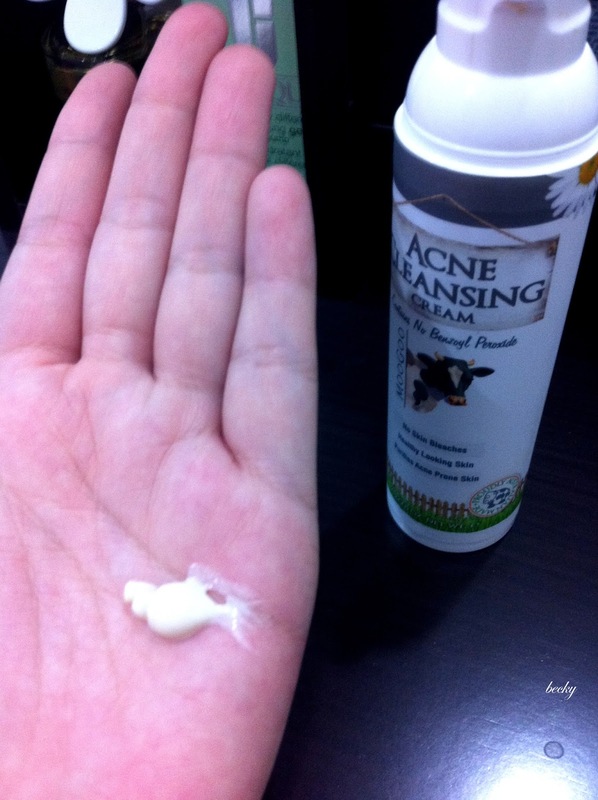 P/s: I sincerely do hope that this post of mine will be able to solve your acne/pimples problem! Hi, i just want to know, is it this acne cleansing cream really in slightly brown colour and have a smell like...(i dont know how to describe it) ?? I just purchased this product through online (shopee), and tried it once, but just on my hand to know how it work, and yeah, just like i mentioned above, is it true ?